An architect, designer, and artist, Gego emigrated to Venezuela at the dawn of World War II, fleeing Nazi persecution. In 1952, Gego met Leufert, the graphic designer, painter, draftsman and photographer, and the two spent the rest of their lives working together. It was the influence and encouragement of Leufert that was pivotal to Gego’s life and allowed her artistic career to take off and flourish. This symbiotic relationship is one of the central aspects of this long overdue exhibition. In 1963 the artists went to New York where Leufert created the suite of New York Drawings, shown as part of this exhibition. Both artists studied at Pratt Institute in Brooklyn, where they experimented with the many possibilities of working with paper. At the end of that year they visited Los Angeles where Gego worked on lithographs at the Tamarind Lithography Workshop. 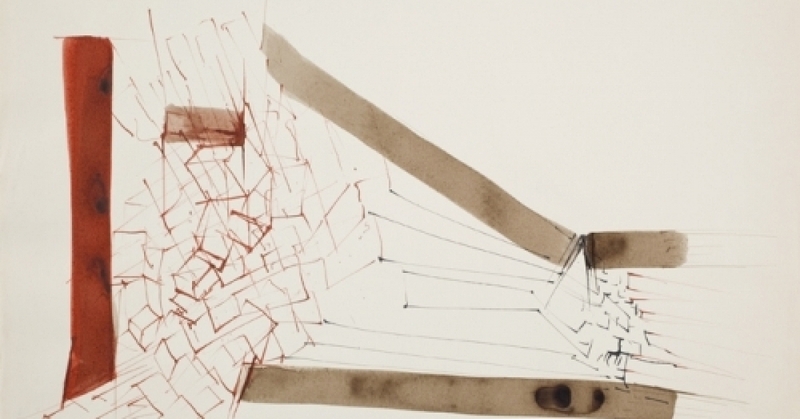 It was upon her return to Venezuela in 1965, that Gego adopted new materials and a more three dimensional approach leading to her “dibujos sin papel” series. A selection of these works from 1976 to 1989 will be featured in the exhibition. This exhibition is the final installment of The Mission Project’s 2011 educational series and appropriately locates Gego and Leufert’s work as a neutral site within the historical discourse of modern Latin American art. Precariously woven together by the interplay of line, shadow, form, space, materiality and absence, Gego and Leufert’s work anticipated our global shift towards art intent on collaboratively producing a collective dimension, yet without the utopian rhetoric. The Mission Projects serves as an independent space for curators, artists, and collectors to propose exhibitions of emergent to mid career artists. The underlying theme of The Mission is art of the Americas, but the space is not exclusive to art from a particular region, movement, or period. The inaugural year will focus on historical exhibitions of Latin American artists and movements, opening a dialogue between emergent artists and their predecessors; thus establishing a context for future shows. The Mission will serve as a catalyst for innovation and exploration of the contemporary landscape.